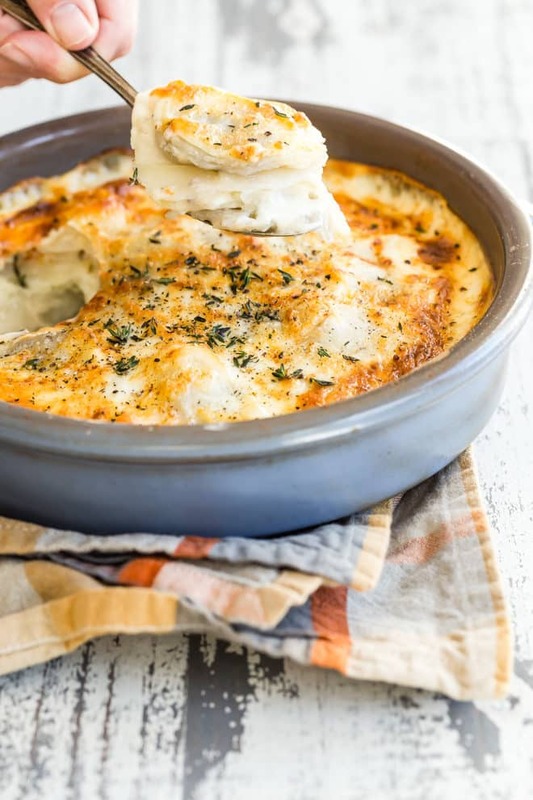 The epitome of traditional comfort food, scalloped potatoes seem to feed the stomach and even the soul– maybe it’s because so many grandmas in the world made them for their loved ones! I’ll walk you through how to make a creamy cheddar cheese sauce for this casserole that’s simple and completely satisfying. I guarantee this will be the first empty dish at any potluck. 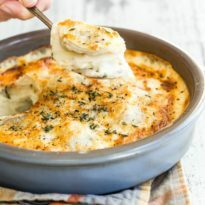 Need to make scalloped potatoes for a crowd? 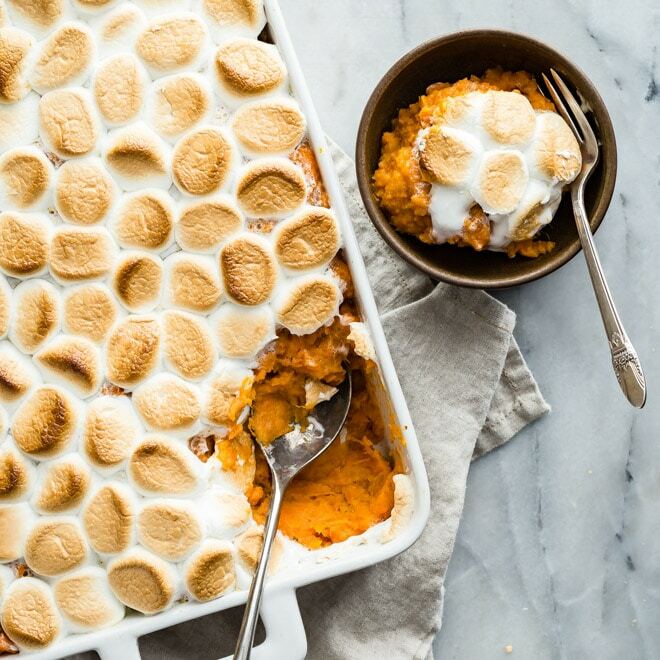 Click and slide the number next to ‘servings’ on the recipe card below to match how many you’re feeding—the recipe does the math for you and adjusts the ingredients automatically— it’s that easy. First, thinly slice your potatoes. Take half of the potatoes and layer them in the bottom of a prepared casserole. In a saucepan over medium-high heat, melt the butter. Whisk in the flour and keep whisking until the flour is cooked, about a minute or so. Then whisk in the milk, stirring until smooth. Bring the mixture to a boil and cook until thickened, then turn the heat down. Now you can add the shredded cheddar. At this point you may want to adjust your seasonings; all potatoes need a little salt and pepper! Pour half the cheese sauce over the first layer of potatoes, then top with the rest of the potatoes. Cover everything with the rest of the cheese sauce, then top with cheese and a little paprika, and slide into the oven to bake. What are the best types of potatoes for making scalloped potatoes? 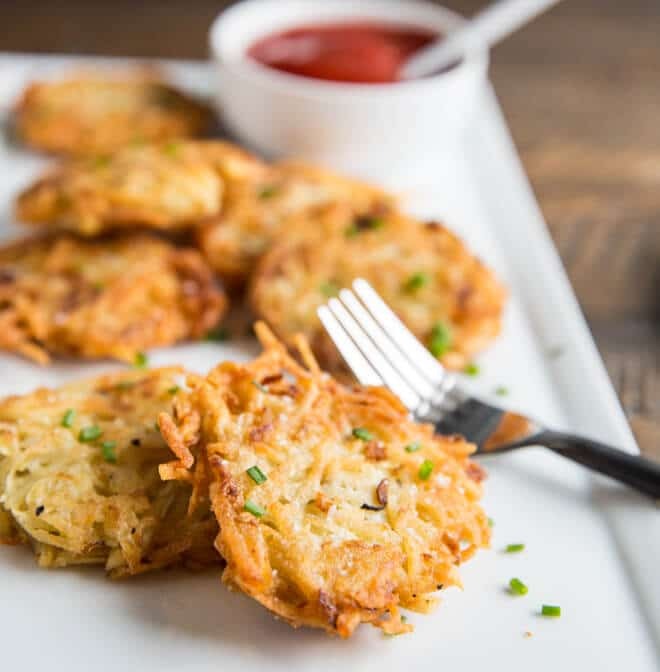 Start with high starch potatoes, such as Russets; they will help to thicken the sauce and make everything extra creamy. 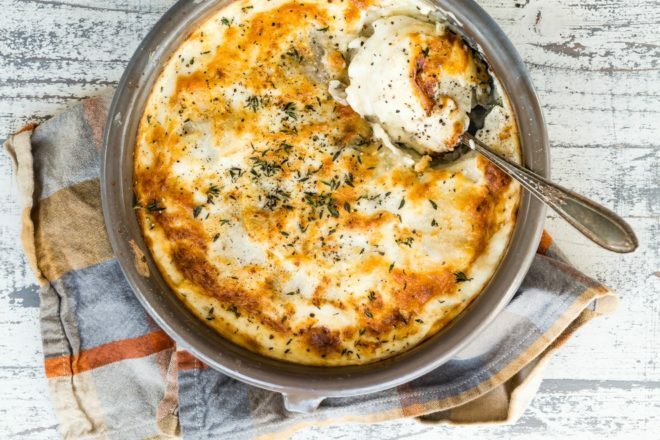 Can scalloped potatoes be made gluten-free? In place of flour, feel free to substitute your favorite gluten-free flour blend. 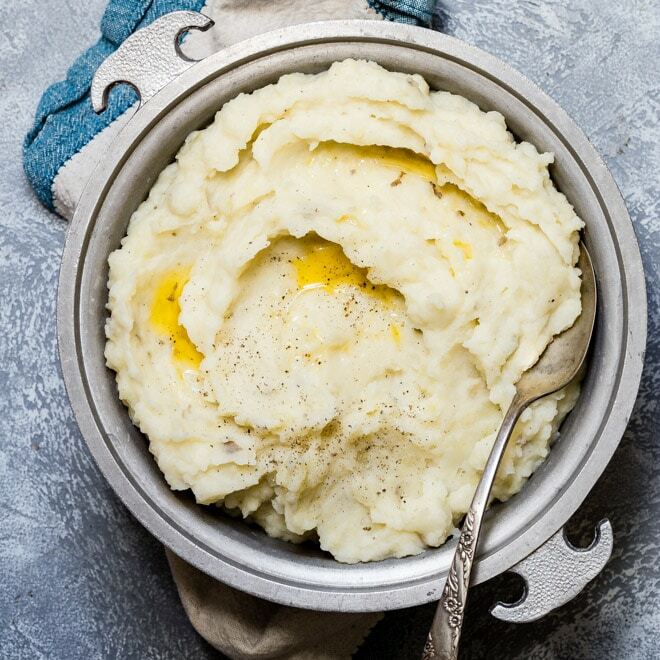 Can scalloped potatoes be made in the crockpot? If you need valuable oven space and have some extra time, scalloped potatoes are easy to make in a crock pot or slow cooker. Just prepare the liner of the pot as you would the casserole, then build the dish following the same instructions. Cook on low with a closed lid for 8-10 hours. Can scalloped potatoes be made ahead of time? This recipe can be made ahead, unbaked, and refrigerated up to two days in advance. Yes. Make the potatoes according to the recipe, then take them out of the oven before they are finished. Allow the dish to cool, then cover or wrap in foil and freeze. Frozen potatoes store for up to two weeks. To finish baking, uncover and remove from oven when the top is brown and the internal temperature reaches 160 degrees. What can be added to scalloped potatoes? 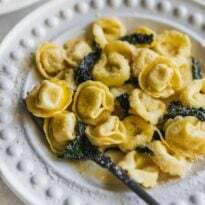 This versatile side dish can easily be made into a main course depending on what you add. Get creative! You can layer in some sliced ham, peppers, crumbled bacon, leeks, herbs, or chives. Top with garlic breadcrumbs or some parmesan cheese. How can you keep scalloped potatoes from curdling? 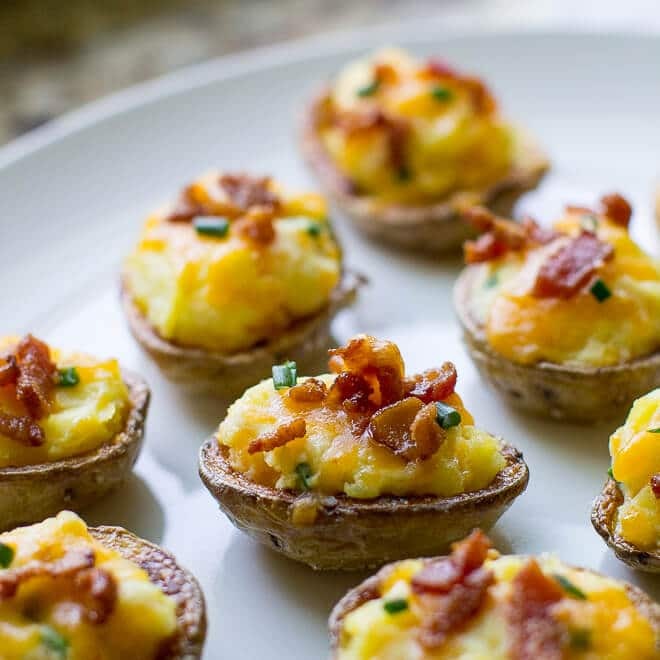 Try to use high starch potatoes and full-fat ingredients. That keeps the sauce from separating. 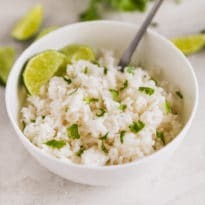 This holiday season, I’ve updated some traditional Christmas recipes to make each bite even better than the next. 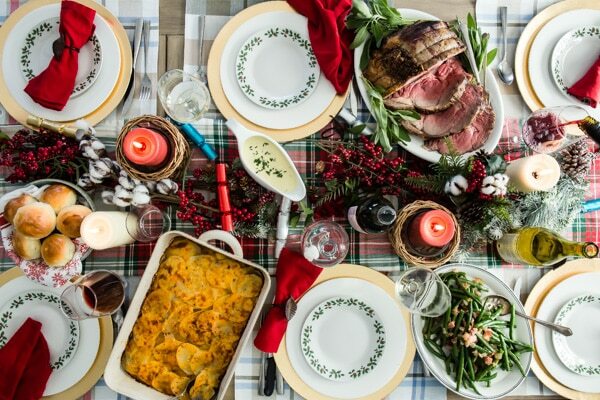 From Green Beans with Bacon to piping-hot Scalloped Potatoes, every dish on the table is vibrant and bursting with flavor. and a peaceful, delicious New Year. 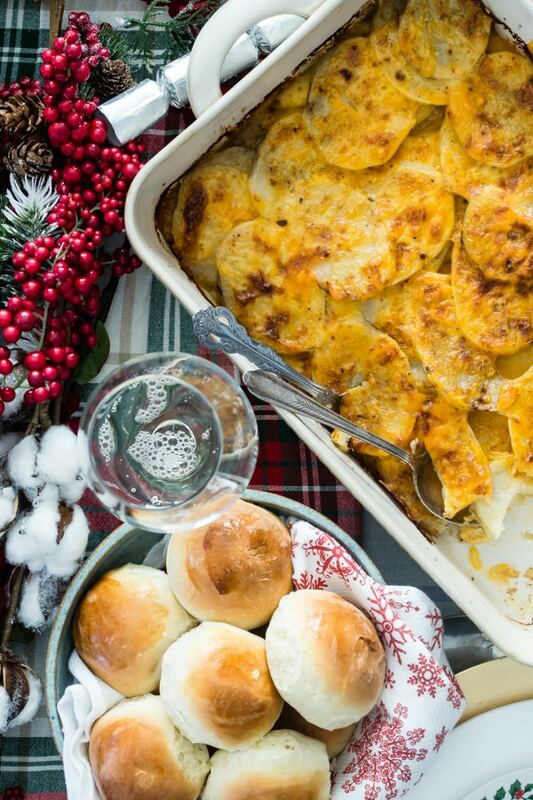 The epitome of traditional comfort food, scalloped potatoes seem to feed the stomach and even the soul-- maybe it’s because so many grandmas in the world made them for their loved ones! I’ll walk you through how to make a creamy cheddar cheese sauce for this casserole that's simple and completely satisfying. I guarantee this will be the first empty dish at any potluck. Preheat oven to 350 degrees. Coat a one-quart casserole dish with nonstick spray. In a small saucepan over medium-high heat, melt butter until foaming. Whisk in flour until cooked through, about 1 minute. Whisk in milk until smooth. Bring sauce to a boil, reduce heat, and cook until thickened. Stir in 1 cup cheese and season to taste with salt and pepper (I like 1 teaspoon salt and 1/2 teaspoon pepper). Layer half the sliced potatoes in bottom of prepared casserole dish. Top with half the cheese sauce. Layer the second half of potatoes on top and top with remaining cheese sauce. Sprinkle remaining 1/2 cup cheese on top. Sprinkle with paprika for color. Bake uncovered for 1 hour. Let stand 10 minutes before serving. I was taught that scalloped potatoes have NO cheese,and au gratin potatoes have cheese…..Yet so many recipes today are including cheese. Am I mistaken in my thinking? Hi Diane, you are actually spot on in your thinking. You’re right. And I didn’t even know! I’m from Wisconsin things end up having cheese that might not otherwise have it or need it. However, I consulted my culinary textbook from school and you’re right. Potatoes, bechamel, nutmeg, butter, salt and pepper. That’s it. I should probably redo my recipe. Thank you for pointing that out!